I’ve been doing Estate Sales for many years now and it seems that there’s a lot of misconceptions about what an Estate Sale is or isn’t. I’m hoping that the following will provide some helpful information about Estate Sales. An Estate Sale IS an accumulation of someone’s life-long possessions. 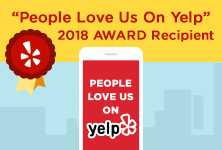 It includes everything from artwork, antiques, furniture, jewelry, silver, collections, clothing, tools, china, flatware, appliances, CDs, albums, frames, books, electronics, clothing and just about anything else you can imagine. It consists of an entire house full of items that have different values or price points. An Estate Sale is NOT: Individual or random things that people no longer want or need like a bedroom set and an old TV. Estate Sale -vs- Garage Sale: One main difference between an Estate Sale and a Garage Sale is the total value of the items to be sold. *NOTE: When contemplating whether you want to have an Estate Sale remember… “One Man’s Trash is Another Man’s Treasure”. 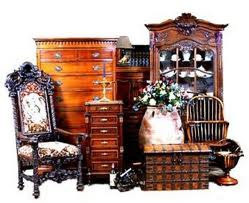 Therefore, DO NOT donate or throw away anything before meeting with an Estate Sale company as you may greatly diminish the value of your sale.  *We offer a FREE consultation to determine if an Estate Sale would be profitable for all involved.  *If hired, we then organize and set-up everything that’s for sale.  *We then research and price all items to be sold. If we don’t know the value of something we bring in someone who does, at our cost.  *We provide the advertising and marketing.  *We have a strong online presence and an extensive list of people that follow us and shop at our sales.  *We send several newsletters before each sale which include photographs of the contents of the house and reminders about the sale.  *We also advertise on estatesale.net to reach a larger audience. Again, this is at our cost! Our Estate Sales are commission based. We will determine the commission split at the time of our initial consultation. From helping you determine whether an Estate Sale is right for you to making sure that the house is empty, we handle the entire process from beginning to end! It is our goal to greatly reduce the stress associated with downsizing, moving and/or handling the estate of a loved one. One last thing…Organizing Concepts and Designs is insured and bonded!